Now that iOS 12 developer beta has been released it is now time for developers and power users to install the biggest iOS software update on their iPhone, iPad and iPod touch. iOS 12 supports all devices that are capable of running iOS 11, so users of older devices like iPhone 5s and latest models such as iPhone X all have the opportunity to install iOS 12 beta on their devices. 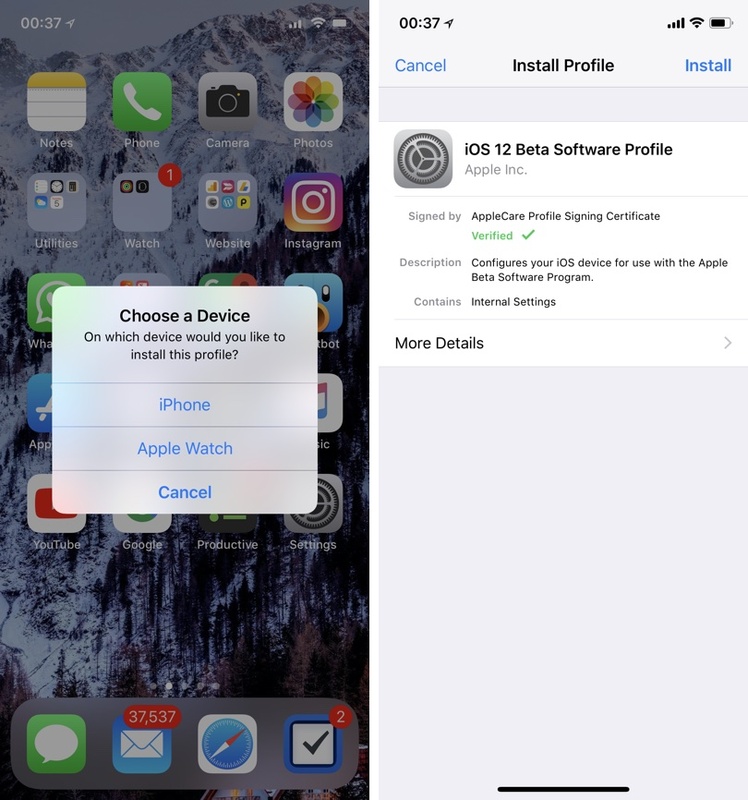 In order to be able to install iOS 12 developer beta on iPhone, iPad or iPod touch you need a Configuration Profile that you can download from a paid developer account. If you don’t have a developer account you can ask a friend for the profile or search for it online. Once you have the profile follow the detailed steps below. Make sure you create a fresh backup of your iOS device. Remove any beta profiles if you have them installed by going to Settings > General > Profiles & Device Management. Download the iOS 12 Configuration Profile on your iPhone or iPad and tap on it. In case you download it on Mac, AirDrop it to your iOS device. Then from the popup choose iPhone or iPad and then tap on Install. Once iOS 12 beta configuration profile has been downloaded and added, plug your iPhone or iPad to power and make sure it connected to the Internet. Go to Settings > General > Software update and tap on Download and Install. Tap on Install button to update now. Enter your passcode to proceed. If you have an Apple Developers Program account, then you can also download the Restore Image IPSW from Apple’s website and use iTunes to install iOS 2 beta on it.